The code used to create figure for ICERM webpage for workshop on Reproducibility in Computational and Experimental Mathematics (December 10-14, 2012) can be found in this tar file. This code runs with Clawpack 4.6.2. From this link you can find documentation for GeoClaw as well. 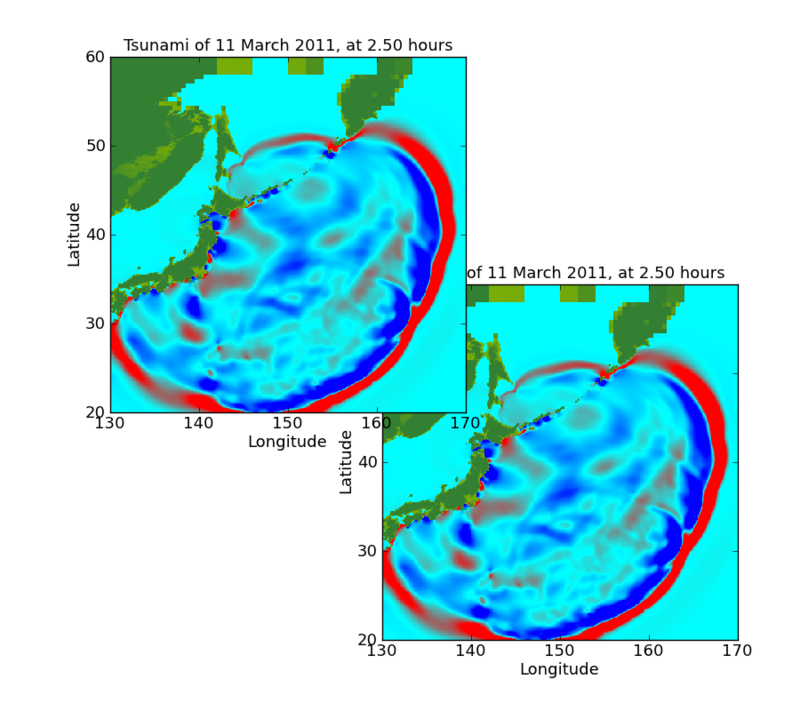 Comparison of earthquake source models for the 2011 Tohoku event using tsunami simulations and near field observations by Breanyn T MacInnes, Aditya Riadi Gusman, Randall J LeVeque, and Yuichiro Tanioka. Submitted to the Bulletin of the Seismological Society of America, 2012.